Dance Classes for learning ballroom and latin are in Stroud and Gloucester. The Dance classes are all pay as you go. There are no joining fees to pay, or up front courses to commit to, just pay weekly. 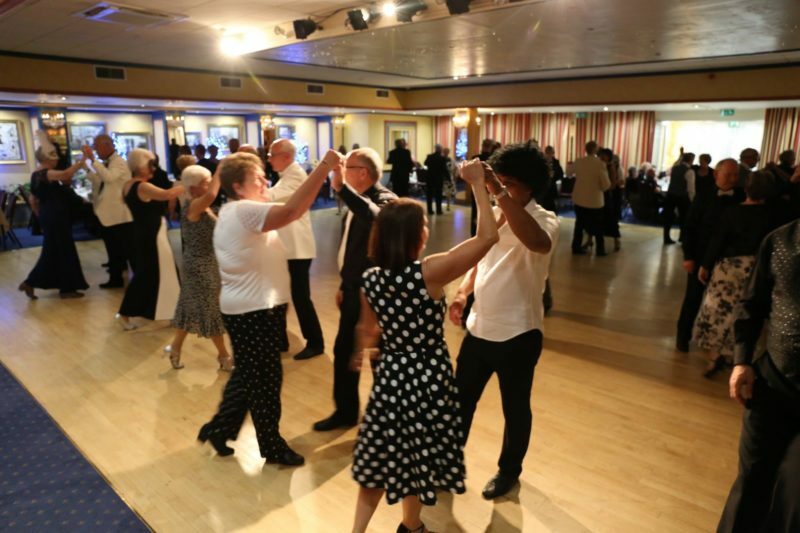 We include the ballroom dances Waltz, Quickstep, Foxtrot, Tango and Latin dances Cha Cha Cha, Rumba, Jive, Samba. We teach in an easy to remember format and do not change partners. Learning to dance is a rewarding hobby that you can do together. You may want to come to our events. We do social dances in Gloucester and Stroud or you can join us on one of our dancing holidays. There is something for everyone. Making friends, keeping the body and mind fit active are just a few of the rewards you get from our dance classes. Complete Beginners to Next Levels, we can help you achieve your goals. If you want further information get in touch via our contact page. Dance Classes or Private Tuition for Weddings and special events in your life. At Elaine’s Dancing School you can have private tuition or join our Dance Classes at Stroud or Gloucester. We can choreograph your routine to suit your music and requirements. Get in touch via our contact page and see how we can help make your special day one to remember.